Rushing through the door, *almost* late for church, I realized I forgot to put food in the crockpot for dinner. Getting out the door hangs as a constant challenge we tackle several times a day, not to mention that you want everyone to have shoes on (right? ), and maybe, just maybe, make it on time. But, more important than those little moments that seem critical to daily life from “getting there” to “do we have food for tomorrow?” are those moments that come in the form of creating meaningful memories as a family while keeping the busy-ness at bay. 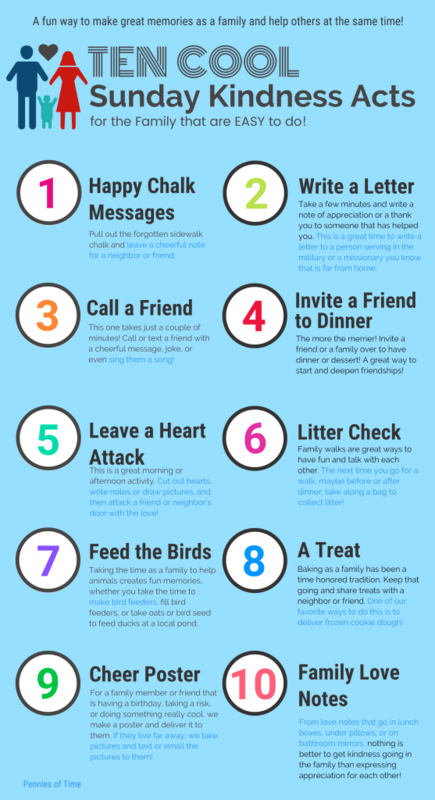 One of the most consistently powerful ways to create lasting family memories that hold meaning come from doing acts of kindness together. 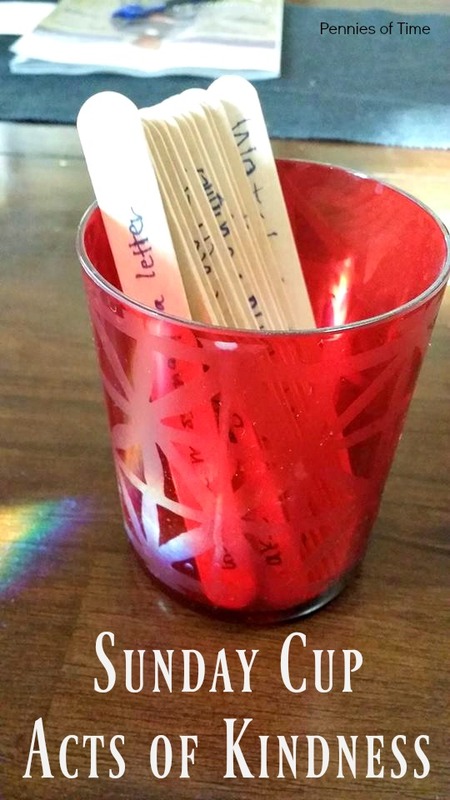 On Sundays, I don’t want to add errands that take more time from my family’s schedule. 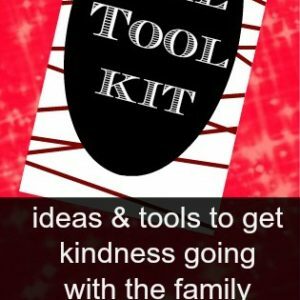 To do that, the acts of kindness really become integrated into part of what we normally would choose to do as a family, and they should take stuff that I already have on hand. 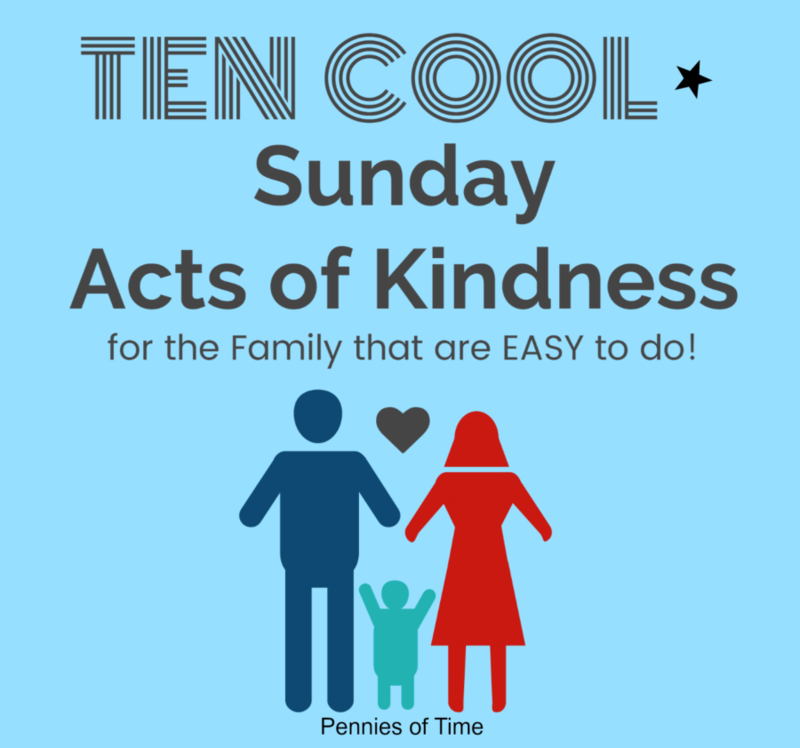 We brainstormed together what we usually do on Sundays for acts of kindness and have put our “Top Ten Ideas for Acts of Kindness to do on a Sunday” into a printable ready for you to print and put on your fridge. Sign up below and get ready to make meaningful memories together as a family!